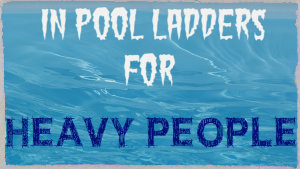 Due to popular demand, we are going to review what we think are the Best Above Ground Pool Ladders For Heavy People. These ladders are just the confidence boost we big Men and Women need to get back in the pool. 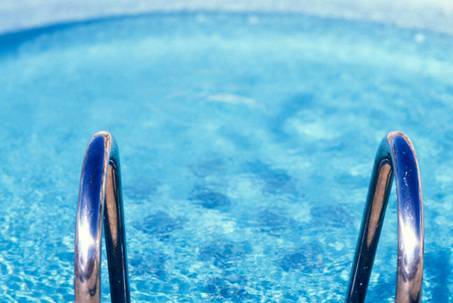 So if your looking to brave the waters but are hesitant because of one of the most feared critical components of the pool, then you better read on. *Please note: The below ladders are for above ground pools. 1 The Thing That Scares Me Most..
2 Recommended Above Ground Swimming Pool Ladders For Heavy People. The Thing That Scares Me Most..
Is The Fear I See In Others! So as a big man myself, I know what my biggest fear were, besides having to show my body off in a public pool. It was those darn silver vertical climbing pool ladders. It’s a fear that has struck down many if not most of overweight or obese people from entering the pool. The thought of being stuck in the pool because of being too heavy to pull myself up the ladder. What’s even worse is having to get help from people to drag me out of the pool. Regardless of whether they were family members or not. It’s humiliating!. This fear is crippling. So How Do I get My Overweight Body Back In The Pool? The best thing about the pool is it’s virtually exercising weightless. When you take into consideration the impact on your ankles, hips body from the hard wearing treadmills or walking etc. Swimming in the pool is a breeze. That’s if you can get in and out! I know how hard and at time’s impossible it was to even pick up my own child because of my own heavy weight making it 100 times harder. So how the hell was I ever gonna pull myself up that ladder? You see, us heavy people are slowly getting catered for now. That’s a nice change. So now there are special ladders with high weight capacity limits and stairs with rails to make getting in and out of above ground pools a lot easier. In ground pools generally have steps and a ladder. So this really only affects above ground pool users. Recommended Above Ground Swimming Pool Ladders For Heavy People. After many hours research and wasted trips to physical pool stores, I eventually decided that the Confer curve pool steps were a fine gateway to the swimming pool for us bigger guys. It was like trying to draw blood from stone to get helpful info from some of the pool stores. They simply are not interested in helping, well that’s my impression. Anyways, the Confer steps are important for the bigger man. They can handle up to 400 Lbs capacity according to manufacturer. They are universal meaning you can use them on either side of the above ground pool. They are extremely sturdy and wide enough to cater to the large person easily. The hand rail provides extra help for getting in and out of the above ground pool. Overall I think they are a good choice for any larger then ‘normal’ person with the urge to get out and have fun again. Plus they look amazing. Highly recommend them. They are hard to find tho and have limited numbers available. *Comes with a 5 year warranty. Much like our best rated pool steps for heavy people, this too is made by Confer Plastics. American owned and made since 1973. Not much at all separates this pool ladder from the above curve model. Both really deserve kudos if you ask me. Appearance has a sturdy appeal and its reversible to go on either side of the pool. The hand rail can also be flipped around to adjust to your height. Which is a helpful idea for helping us overweight people and also the elderly in and out of above ground pools. Not really a surprises that Confer Plastics has many above ground pool ladders suitable for heavy people. While it is rated to hold up to 300 pounds, I know people over 300 Lbs using these kinds of ladders every Summer. However I feel if something did break, the manufacturers 5 year warranty may not cover it. So I don’t endorse using equipment if you’re over the weight capacity. What I like is how roomy the platform on top is, for those braving the bomb dive!. Plus the added safety rail guard is a great idea. It’s ideal for keeping kids or even animals from climbing the ladder when they’re not meant too. It glides pretty well with a splash of dish washing liquid. If you prefer a ladder over steps, then this is the pool ladder for you. The Smart Step System is a nice and wide ladder and step solution to the troublesome entry and exit behaviors of the swimming pool. 32 inch wide steps with hand rail on one side and a ladder on the other. The perfect solution to above ground pools without a deck. However if you do have a deck, I recommend you take advantage of the 2 holes in the top and bolt them down to the deck. This creates an even sturdier pool ladder. Rounding out 5 Above Ground Pool Ladders For Heavy People is the Confer Curved 2 piece. If you’re a large kinda person, then this is a pool ladder step system for you. As depicted in the picture, you can see just how wide the entry and exit to the pool is. It’s massive. This ladder can be used in both oval and round pools. For oval pools you just got to put the ladder on the flat side of the pool. Much like the #1 pool ladder, it’s curved friend is extremely stable. You should feel safe getting in and out of your above ground pool with this ladder system. Looks good, easy to assemble and is heavy person friendly. *Made from durable resins designed to potentially survive the harshest conditions. For far too long I was NOT living life, letting my fears compel me. Those were dark days, and now I am really starting to embrace life. Remember, we only get one, so lets live it up. Big or small! Enjoy. 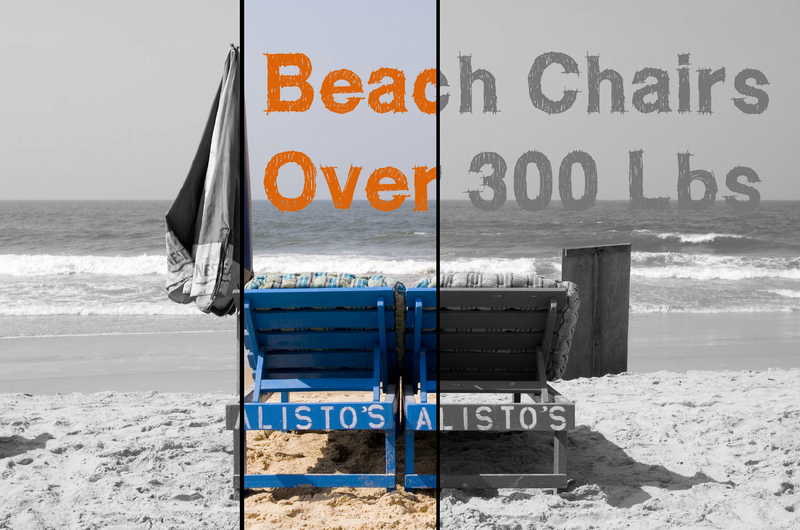 *Don’t Forget To Get You Pool Chair For Heavy People! I LOVE this website. Thank you! I am looking to replace that rickety ladder that makes it so difficult and scary for me to get in and out of the pool. I spent hours reading up on the different ladders then I thought to look for reviews and your site popped up near the top of the list. GOD SEND! 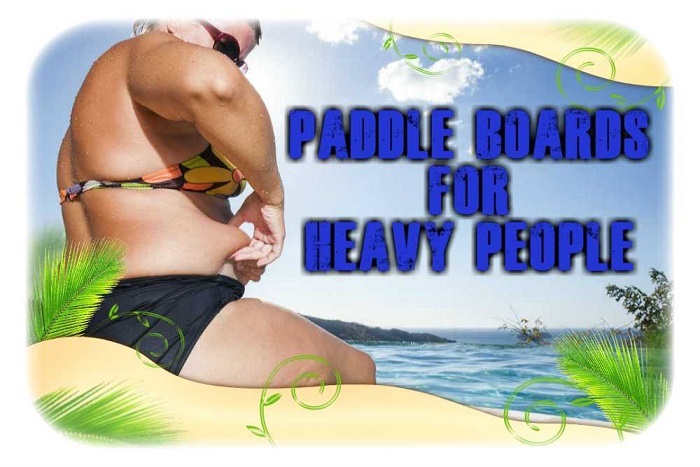 From one heavy person to another, a review that addresses the issues we face. I hope to lose weight. But for today this is where I am at. And as you so accurately pointed out, exercising in the water is a great help. I have booked marked your site and look forward to using it again and again. Thank You Priscilla for your kind words. 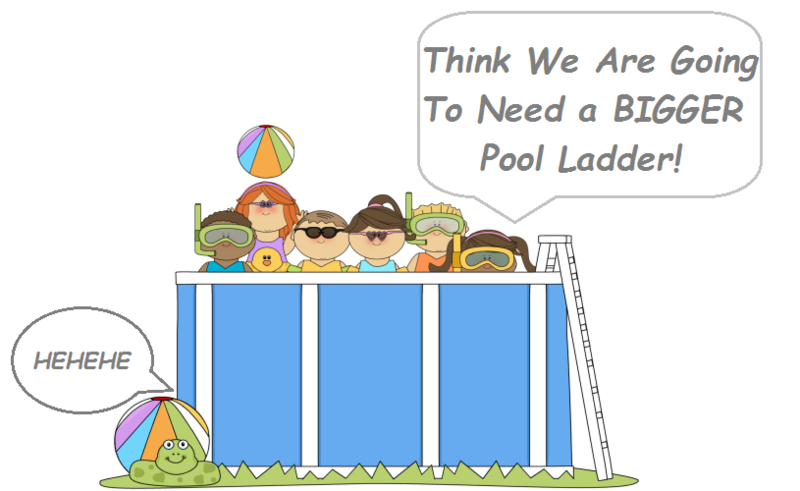 Very pleased to have helped you find the right pool ladder for your needs. I have a question. Can you use ladder #2 without a deck? I’m looking for a good ladder for a pool without a deck! Unfortunately it’s designed to be bolted into a deck. I have read that other people have bought 2 of these and had one on the outside of the pool. But I would imagine you would have to DIY a stabilizing board or it may float out of position. Alternatively, number 4, the Smart Step System is the no deck solution to above ground pools. I have the confer stair system but I will say the rise on them is still pretty steep. If you are short it still takes a bit of heavy duty pulling to get up the steps on the side the water is not on. They are also very expensive, my system has two sides and a gate but it cost over 600 back a few years ago. I really recommend you get a deck if possible with smaller rise like 5″ rise steps that go up much more gradual if you can. This is better than a ladder though. This might sound cheesy….but…has anyone ever used two folding step stools (like you would use around the house) to use in an above ground pool to get in and out? Put one inside (with a mat to protect liner) and one outside, side to side, not back to back. Just thinking the weight options are good and they seem sturdy and safe for climbing. My pool is 48″ high to upper edge, I am looking for two 36″ high folding step stools so I wouldn’t have to climb too high and just swing my leg over the last foot onto the inside step stool. I would appreciate anyones thoughts on this idea. Rust might be an issue but I see aluminum stepstools which might solve that. That’s what I keep wondering if I could do! Ours is 48″ also and the ladder is very tall in my opinion Ann’s narrow at the top. I can climb up, but I get terrified to go to the top of that flimsy ladder. Then trying to turn around way up there in the very high flimsy narrow space when you are heavy set, bad knees, and afraid of heights, turning around is nearly impossible so that you can climb down. I got in once, then was scared to get out, and have been making excuses to my son on why I won’t go back in. Makes me sad because getting pool exercise was one of the reasons I bought it. Being a heavy couple we look forward to our pool in the summertime. I have addressed this situation before and will ask again!! WHEN ARE YOU GOING TO MAKE A SET OF STEPS WITH FIVE OR SIX RUNGS THAT ARE NOT AS STEEP AS THE ONES YOU SELL NOW???? It is very hard for us to pull ourselves up on the last two steps because of their height. I think you know there is a need for older people to be able to get in and out of the pool easily. Please consider this problem and solve it!!! Don’t think it will take that much to make!! Hi Barbara, I can understand what you mean. Unfortunately you will have to get in contact with the brand/manufacturer of the steps in question. Sorry I couldn’t be of more help. I totally agree with you guys. I also have a 18′ round intex pool 52″ deep and bought a good ladder but again the steep climb in is terrible on my back. The decent into the pool is fine, which baffles me on the wonderful steps into the pool as I slide in fine and climb out with all that bouncy. BUT, with all these wonderful steps for in the pool, I cannot imagine why they do not have the alternating in steps???????? Thank you for the review. Based on your information we purchased the #1 Listed Confer curved pool steps rated at 400#+. Thank you again for providing this information. Thanks Allen. I hope you find it helpful with the warmer months approaching. Exciting! This was very helpful, thanks for taking the time to post it. Thanks Doug. Appreciate the feedback. We purchased the steps in the beginning of summer and I am delighted in how easy it is for me to get in and out of the pool. And my younger grandkids love to play on the steps. But now that summer is winding down, I am thinking–how in the world do we get this heavy sand-filled thing OUT of the pool? Unfortunately you are going to need some help and also get wet. Not to mention cold if you simply must take them out. I would recommend at least 2 or 3 people to lift and pull the steps out of the water.